Old map by PICHON - Art déco label for Georges Salomon Paris. Title: Art déco label for Georges Salomon Paris. Size: 12.8 x 13.0 inches. 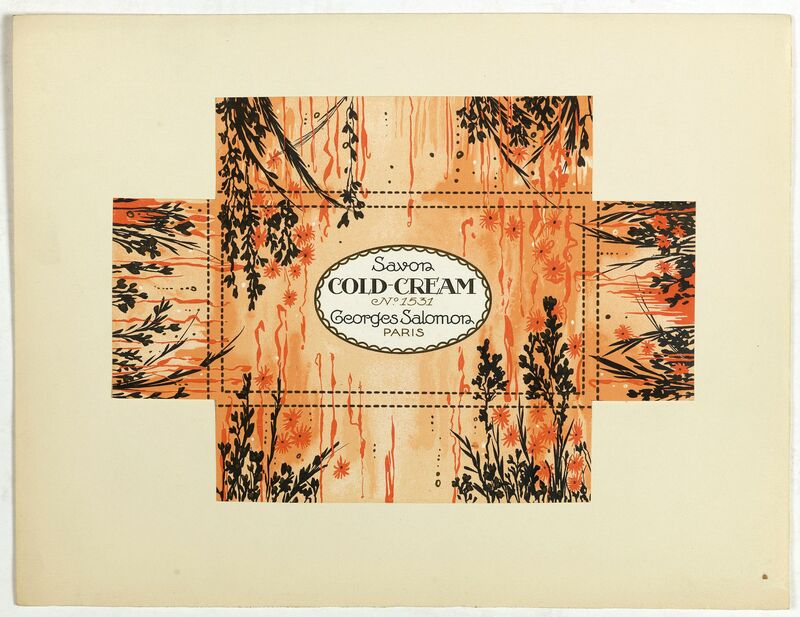 Lithographed perfume label "Savon Cold cream N°1531 - Georges Salomon Paris" laid on original cardboard sheet. A striking example of commercial artworks produced by the artist and graphic designer Robert Pichon and his Parisian studio Ateliers de Dessin & Lithographie R. Pichon. His works include a variety of the hallmark themes of the Art Deco period, with designs influenced by Fauvist colour and Cubist composition. Subject matter ranges from the figurative, including flora, fauna, and Classical mythology, to abstract geometric motifs. The workshop was specialized in graphic design for advertising and R. Pichon, active in the years 1910-1940, was working for the Lorilleux printing house for which he realized many models in the 1920/1930. Pichon also worked frequently for the magazine Caractère and mainly for special Christmas issues.